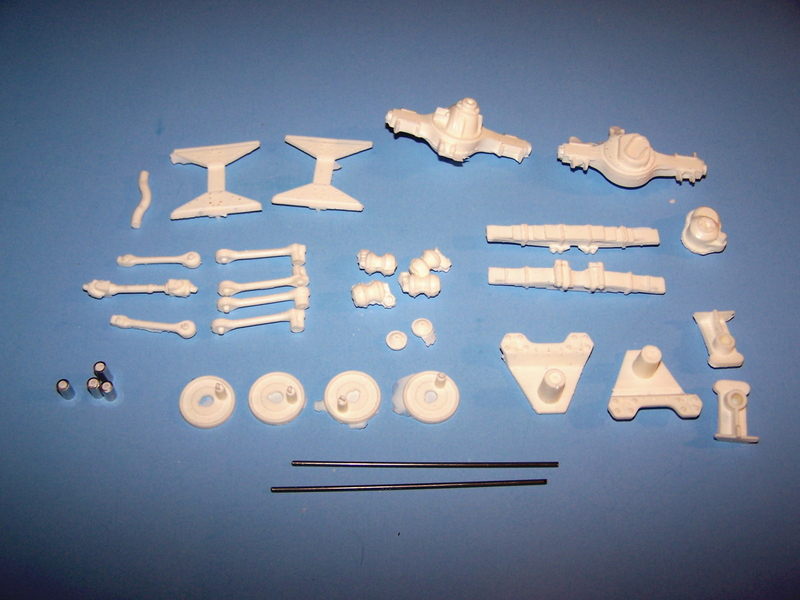 Resin cast suspension and axles. Includes frame cross member, trunion, trunion hanger, 2 complete rear axles, backing plates, brake chambers, 6 radius rods and inter axle driveshaft. 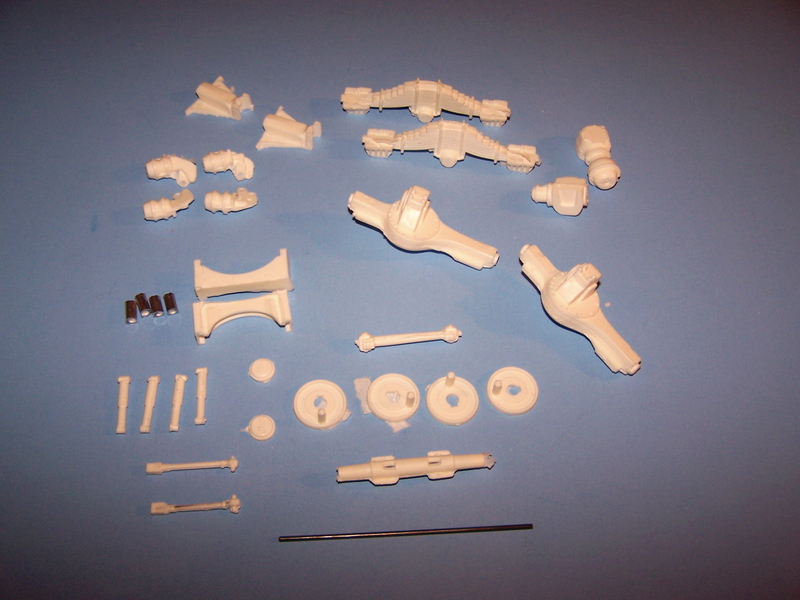 Resin cast rear suspension and axles. Includes frame crossmember, trunion bracket, trunion, 2 springs, 2 complete rear axles, 2 torque rods, inter axle driveshaft, backing plates, brake chambers and metal axle shafts. 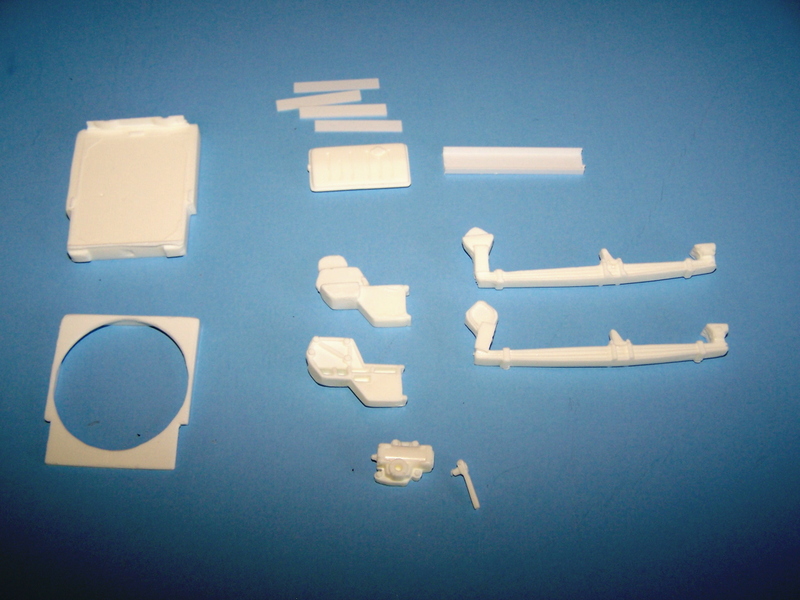 Resin cast square fuel tank kit. 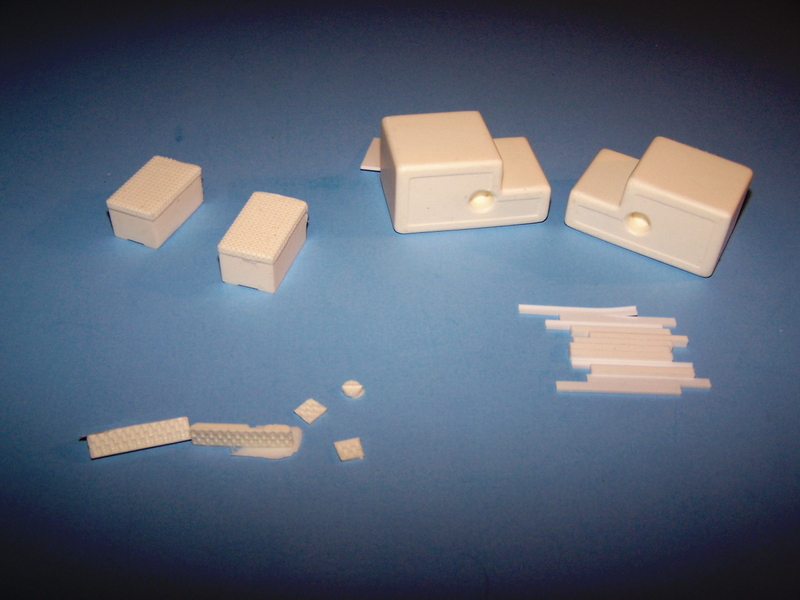 45mm long square fuel tank kit for Ford L series. Includes 2 tanks with steps, brackets, caps and 2 battery boxes. 54mm long square fuel tank kit for Ford L series. 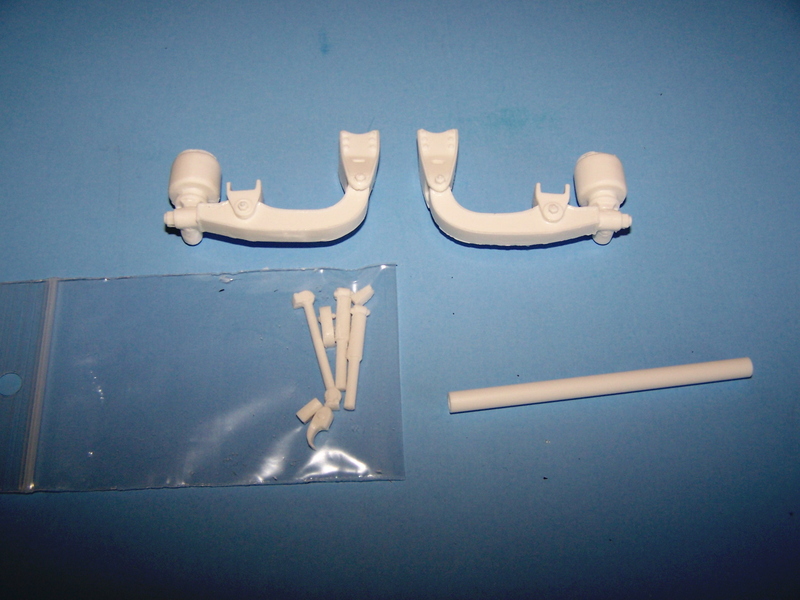 Resin cast rear suspension for 1 axle. Includes 2 beams and hangers, 1 cross tube, 2 air bags and 2 shocks with brackets. 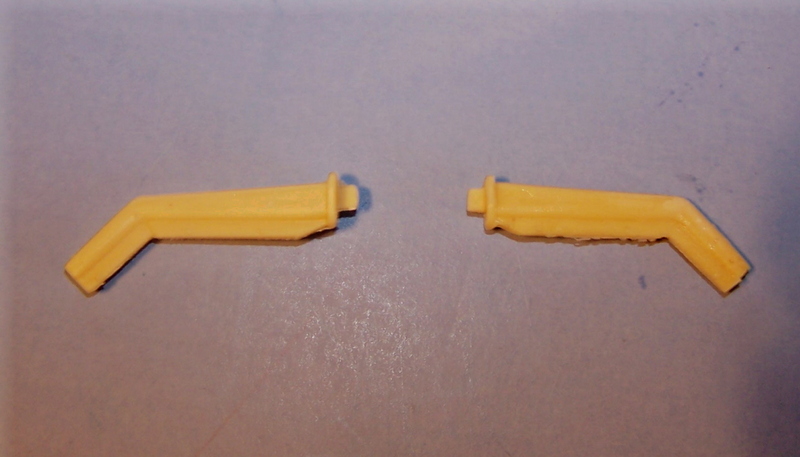 1 set required per axle. 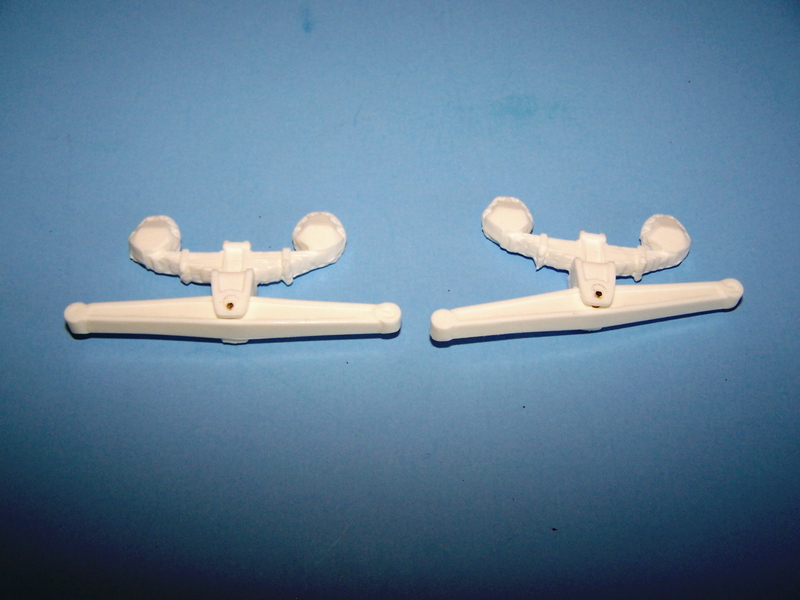 Resin cast rear suspension with 72" axle spread and pivoting equalizer beams. Includes 1 left and 1 right suspension. 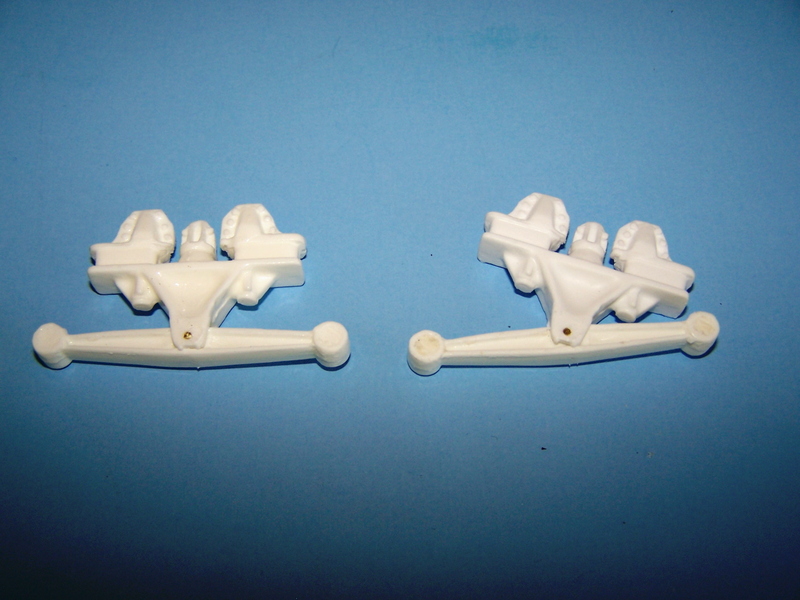 Resin cast rear suspension with 60" spread and pivoting equalizer beams. 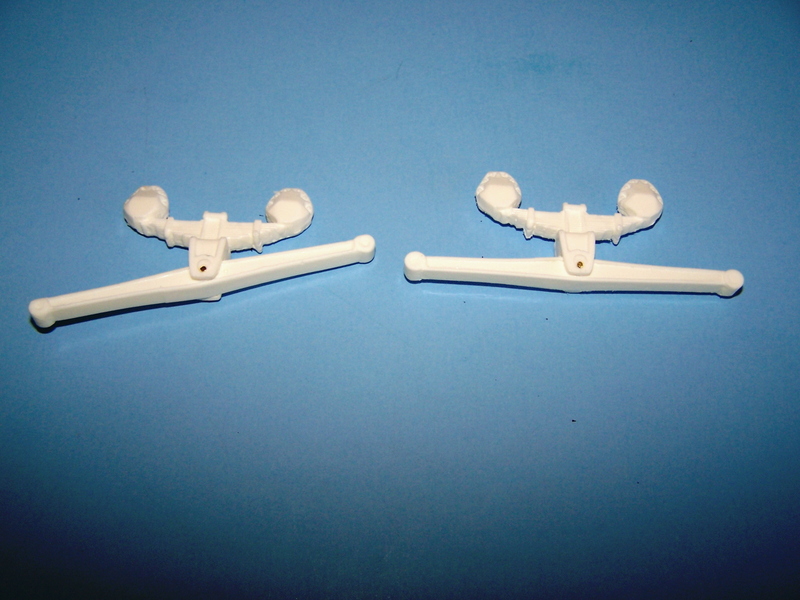 Resin cast rear suspension with 52" axle spread and pivoting equalizer beams. 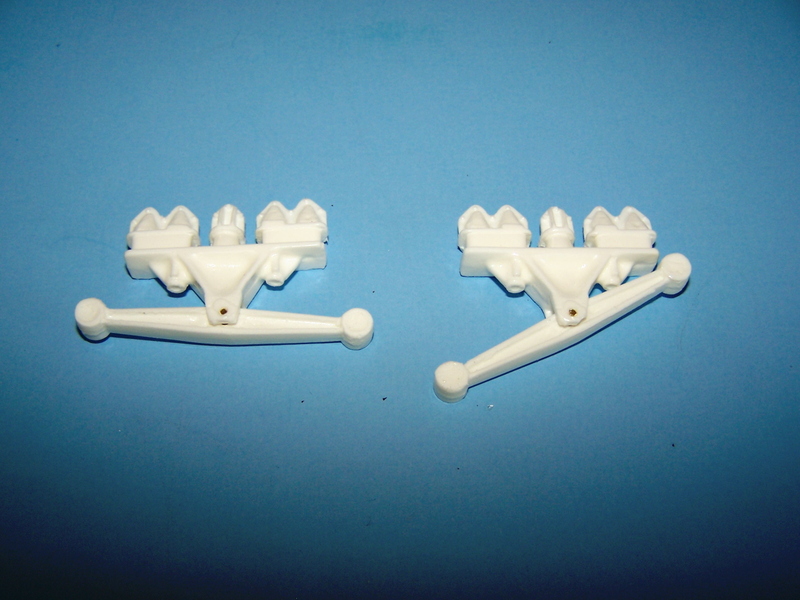 Resin cast rear suspension with 60" axle spread and pivoting equalizer beams. 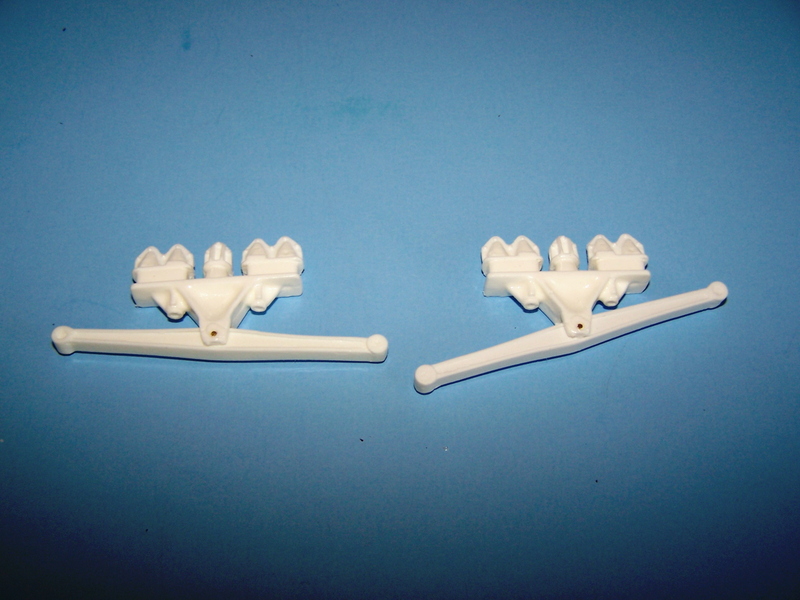 Resin cast rear suspension 52" axle spread and pivoting equalizer beams. 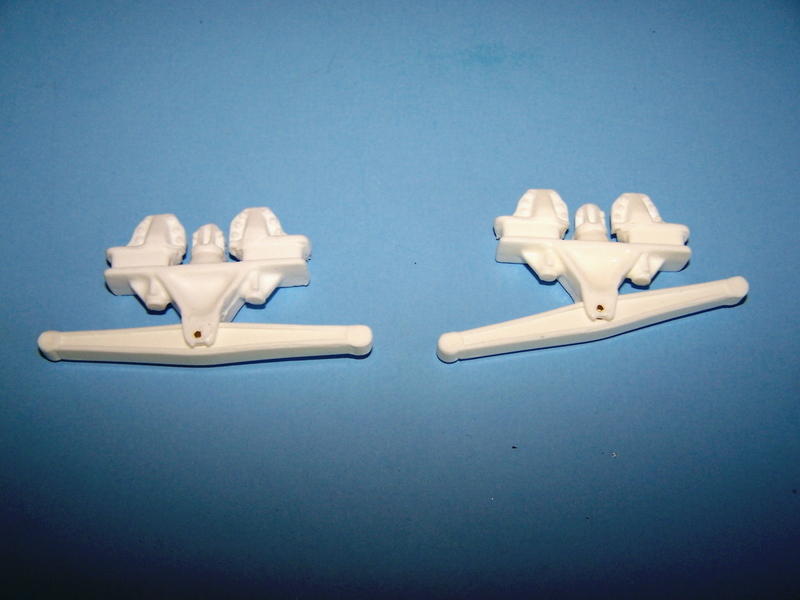 Resin cast rear suspension with 72" spread and pivoting equalizer beams. Includes 2 front springs,2 spring hangers, steering box, radiator and shroud, overflow tank, radiator support and shim kit. 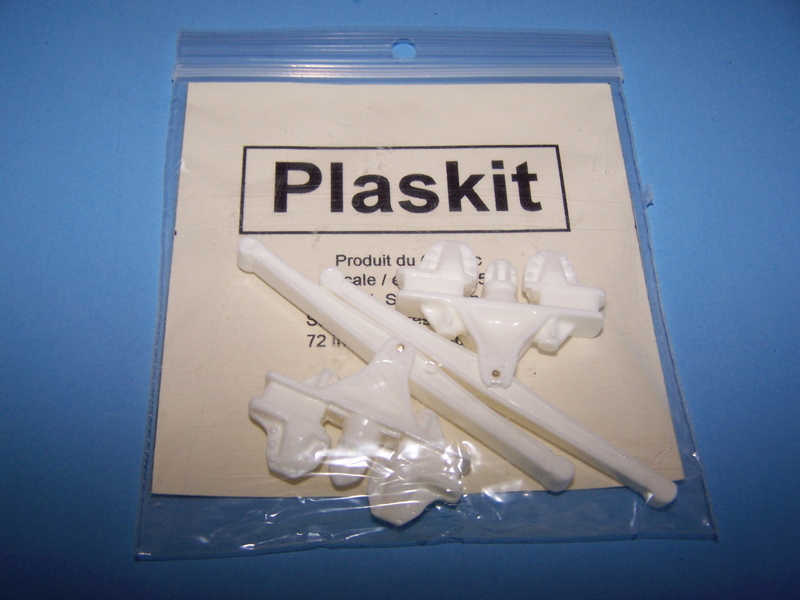 For use with Plaskit T-800 hood conversions. 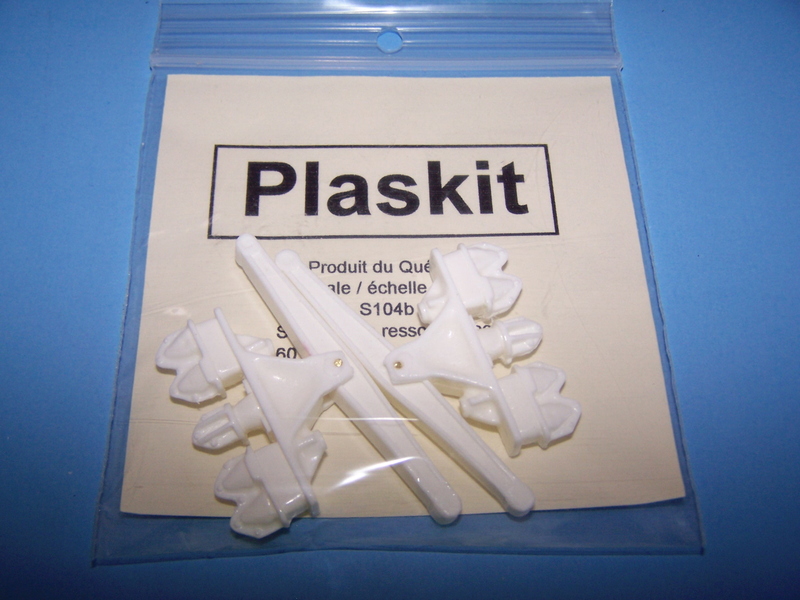 Cast resin mud flap hangers with 45 deg. ends.